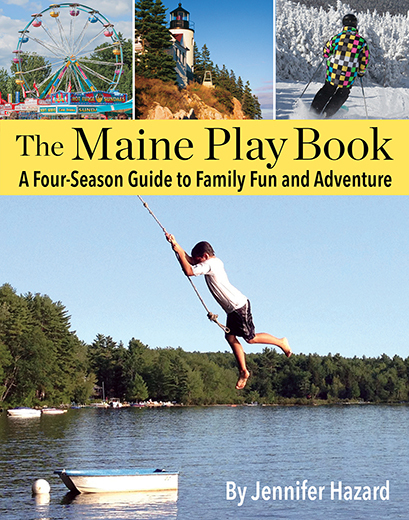 Jessica Jenkins, the owner of Daytrip Jr. in Kennebunkport, guest blogs today. If you haven’t already, follow Daytrip on Facebook. Jessica is a wonderful source of ideas for kids and families. We’re so happy to have her here! Take it away Jessica…. 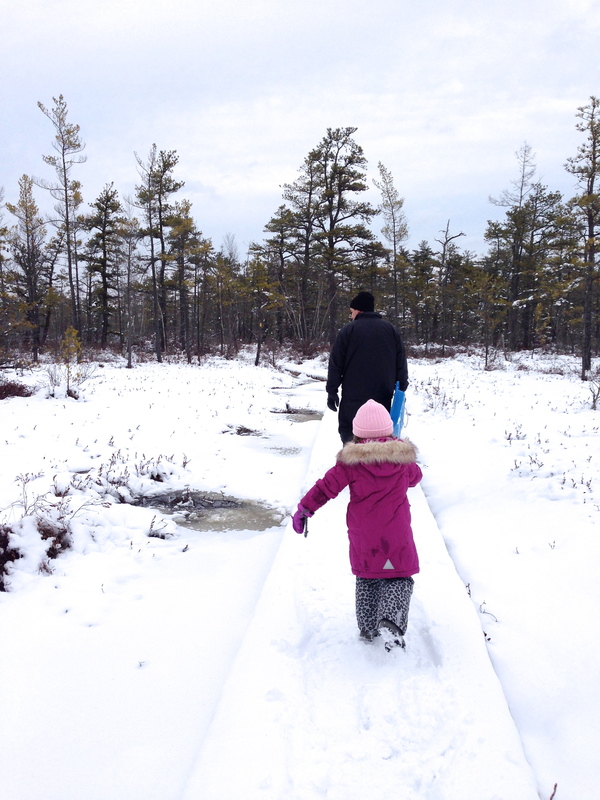 In search of a winter activity to cure our cabin fever, the Daytrip Society family packed our hats, coats, and snow pants and headed north toward the Saco Heath Preserve. We spotted some amazing photos of the preserve from the summer and fall, so we took our chances that the trail would be passable in winter. When we arrived, we were happy to find the parking lot open! 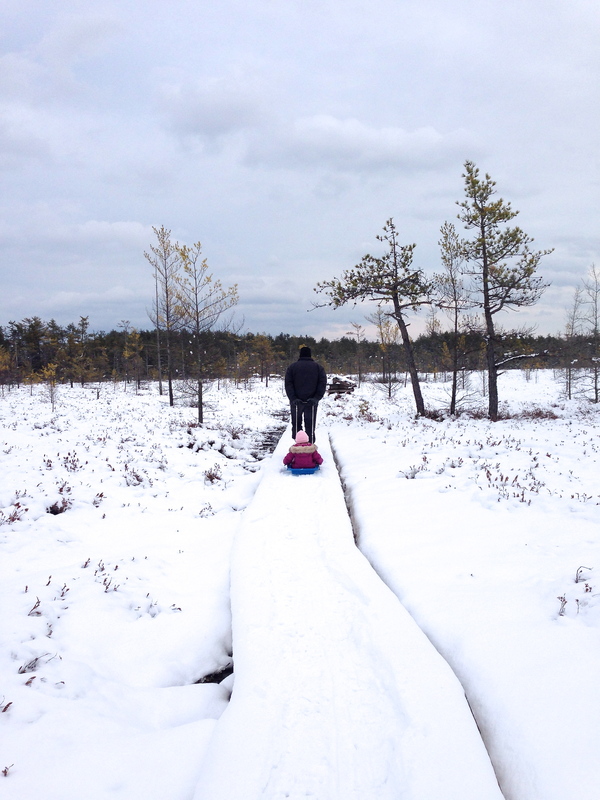 We entered the trail and walked along the snow-covered boardwalk which zigzagged about half-mile to where the trail opens up to the Heath (aka a bog). My husband and I were glad for our last minute decision to throw a sled into the car, so our 4-1/2 year old could get a tow whenever she needed it! As we tromped along the floating boardwalk, we were surprised by how different this terrain looked and felt from any other we had visited in Maine. Our research told us that the Heath was once two adjacent ponds containing acid that slowed the decay of peat moss. The ponds eventually filled with so much peat, they grew together and formed a single raised bog. 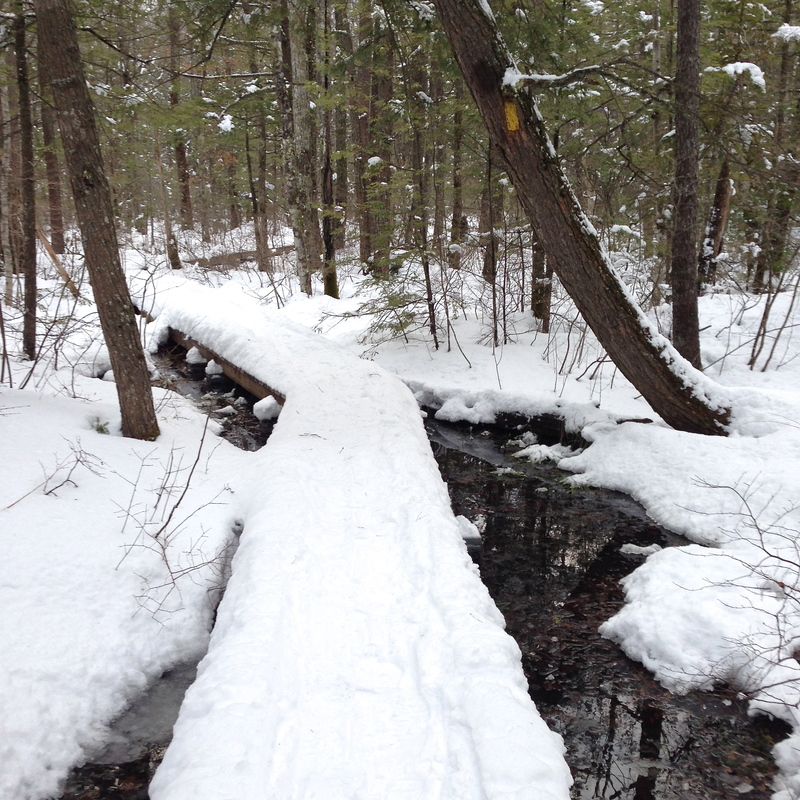 We were careful to stay on the trail—parts of the walk were above 20 feet of water and moss! Knowing this added a bit of excitement to our outing. Even though the trail is only 1.8 miles long, the extra effort it took to walk through snow made this a good hike. Our family took time to rest on the benches conveniently located mid-way through the bog. 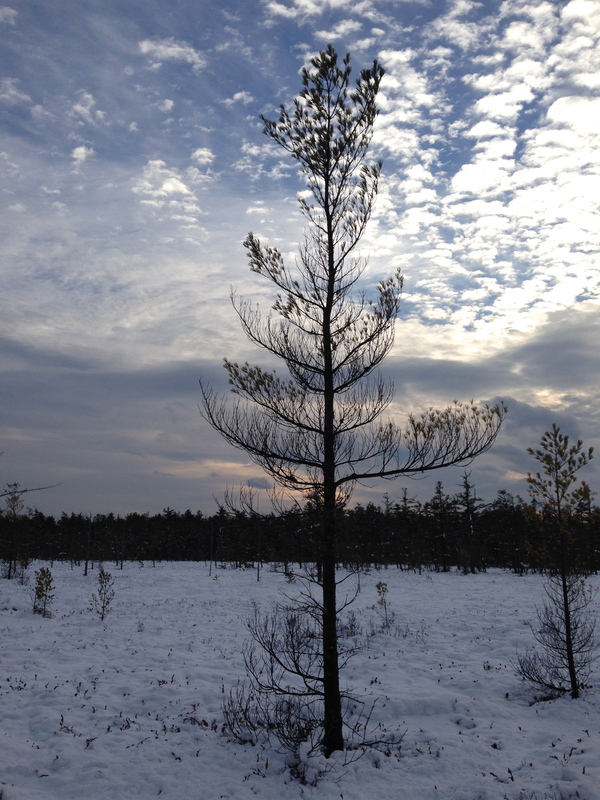 We pulled clementines out of our pockets for a sweet snack and gazed at the land surrounded by Atlantic White Cedars. We looped around and continued our return hike, already planning to come back to the preserve each season to get a feel for its year-round beauty. A visit to the preserve turned out to be the perfect way to get us out and exploring nature on a cold January afternoon! 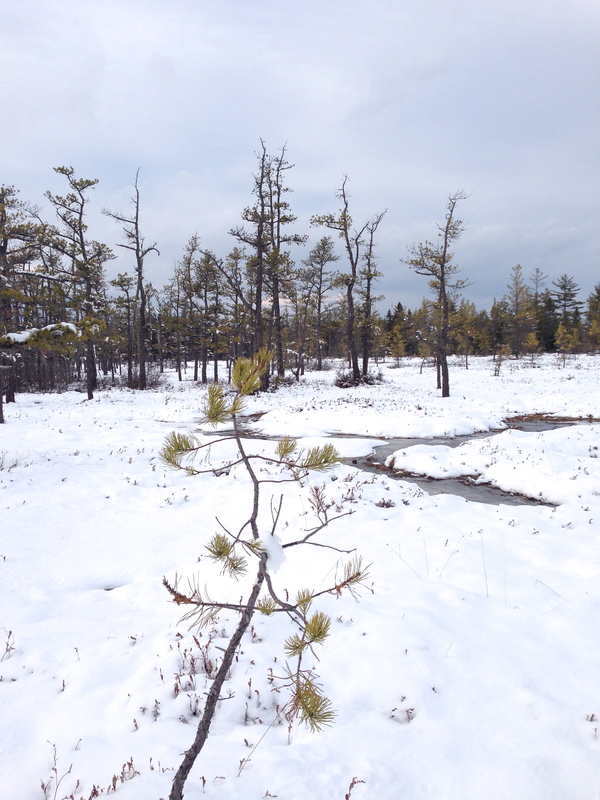 FMI on the Saco Heath Preserve, visit here.